Oligarchen. Over $51 billion has been spent on the Sochi Olympics, making it the most expensive Olympics ever. But how has the money been used? This piece was originally published on January 30, 2014. 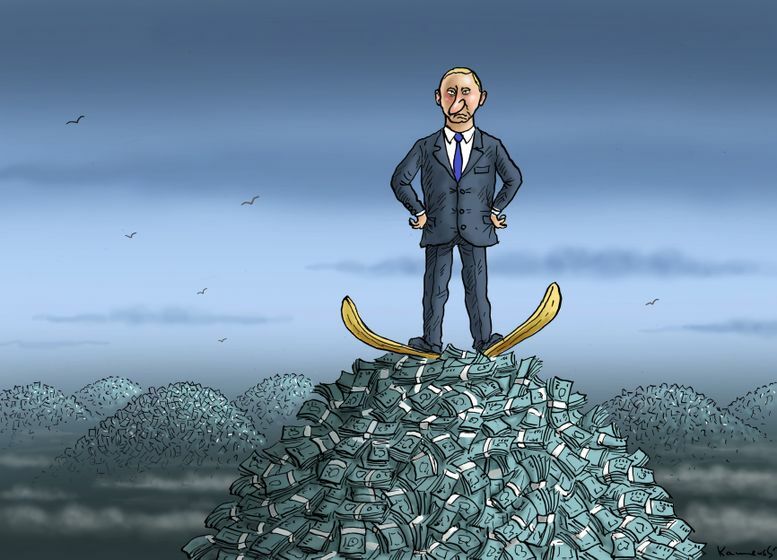 One Comment on "Cartoon: Putin’s Sochi"
The heterocentristic social contract inscribes our biological “truth” into our bodies. The equivalence of all body – subjects should be everywhere a human right today. It should be possible to live according one’s desire and it should be possible to investigate desire and knowledge freely. Putin‘s Russia produces “Forbiddenness” where nothing is to forbid and produces a society which is socially unprotected, patriotically excitable and politically abused. Lesbians, homosexuals, bisexuals, intersexuals, transgender and other persons, which do not want and are not able to find themselves in a society with heteronormative values, will be made to the stigmatized “Other”. They form the projection of the fears of the Heteros.